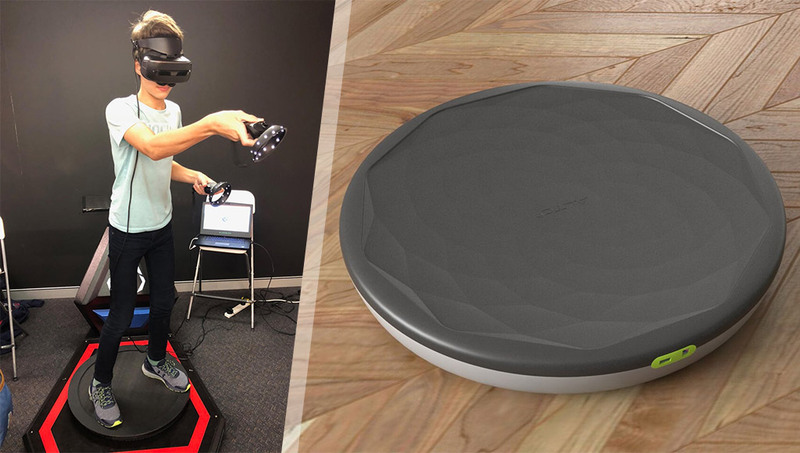 Puya Abolfathi and his Sydney-based team at Visospace are putting together smooth omnidirectional locomotion using a hoverboard-like device called the Alto100. It has reached 100% funding on Indiegogo this week and I wanted to get some more detail on their tech! What I find quite fascinating is that the Alto platform and experience is, as Puya puts it, “an illusion much like VR itself”. The Alto turns shifts of weight on the hoverboard-like platform into accelerated movements that match the direction they are shifting towards. 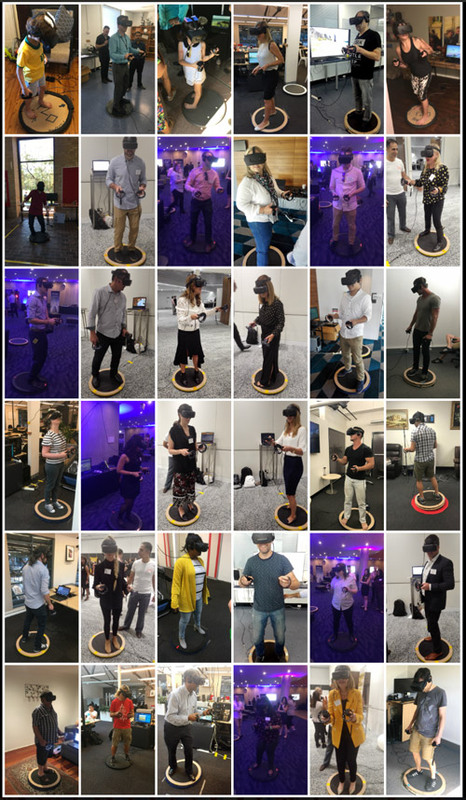 They also feel the shift of the board under their feet with “vibrotactile haptic feedback that reinforces the illusion of movement under the board” — they’ll feel little bumps in the terrain and the “jet stream” of accelerating over the virtual space. Puya is quick to point out that “acceleration” is the important point around how this works — he says “it needs to be based on real physics complete with momentum/inertia, not instantaneous movement”. From an engineering perspective, the Alto contains electronics underneath the board that sense shifts in weight and process that into the Alto-language their platform can understand. It then gets streamed across to a PC or a smart device hosting the VR application, while also being able to receive messages back from the VR app too (so that it can match what’s happening in the app). 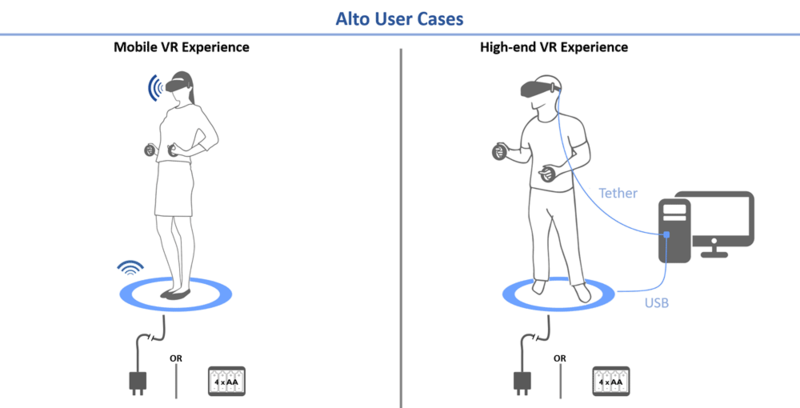 The Alto is being designed in a way where it can be fully wireless and future proofed to work with all VR experiences including phone-based VR and standalone VR. It’s also possible to use the technology with AR experiences in future, or even as an accessory to a smartphone/tablet app. Anything that can connect via Bluetooth could potentially use the Alto as an input! It seems the team at Visospace decided — why not both? Their SDK will support both Unity and Unreal (C# and C++) across all devices. They also encourage developers to use the Alto in multi-user experiences that allow people with the Alto interact with people without it too. There is an SDK that will allow developers to create their own experiences using the Alto platform for Unity, Unreal and potentially other programming environments too. The plugin (a dll) which Visospace provides means you should be able to import the Alto as an object into any experience. The object provides real-time information about its real-world properties (magnitude and direction of the tilt of the board) as well as the state of whether the user is standing on it or not. The team are looking to build up the communication between their team and developers using their platform in a range of ways, including opening up access to GitHub repositories and adding developers to their Alto Discord channel. The goal is to allow for open discussions on what can be refined and improved, as well as to give feedback to developers on their creations. A whole bunch of people giving the Alto platform a go! Is VR just a passing fad? 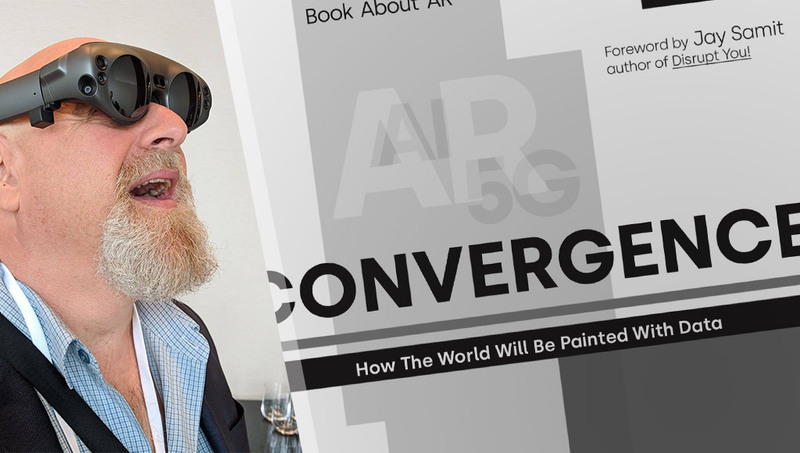 “With so many contending acronyms, VR/AR/MR/XR, VR as a word might be a passing fad. But a flavour of the concept of ‘immersive computing’ it is very much the future and the ultimate way of interacting with and processing information, knowledge, the physical world and each other. “Our strategy to turn Alto into a product everyone can enjoy is to release it in two crowdfunding campaigns. The first campaign is Alto100, the dev kit for 100 developers that we have mentioned. This started in April and will close in 5 days. Our challenge has always been marketing and getting information out there to the world. We’ve made our bare minimum target of $10,000 and around 12 Altos to start a small community but ultimately would like to see all 100 being used. At $600USD this version of the Alto is rather expensive for many developers we are talking to but at this stage of the prototype where much of the manufacturing is low quantity and hand built, the cost of production is high. It’s a pretty exciting year for their team! Thanks to Puya Abolfathi for taking the time to share his story. 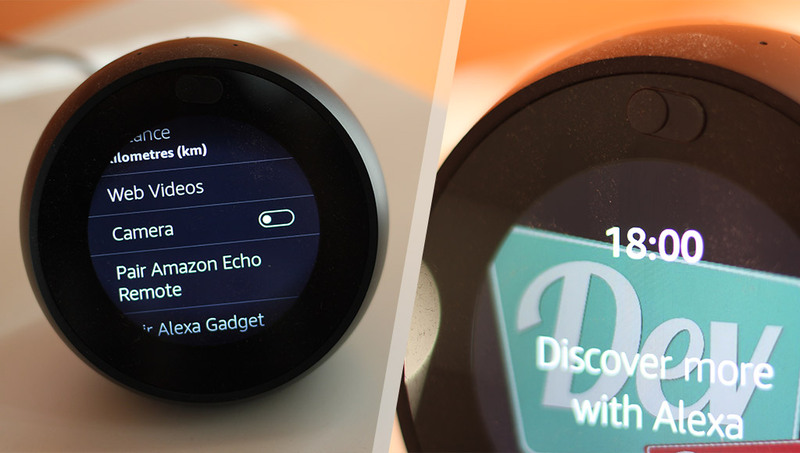 Check out their Alto100 Indiegogo campaign and spread the word about their fantastic efforts! Hi all this is Puya from Visospace. Thanks Patrick and the Dev Diner team not only for the wonderful write up about our Alto but for what you do for the industry. As a proud Australian VR startup we are extra proud to have Dev Diner being produced right next door to us in beautiful Sydney! Keep doing what you do!